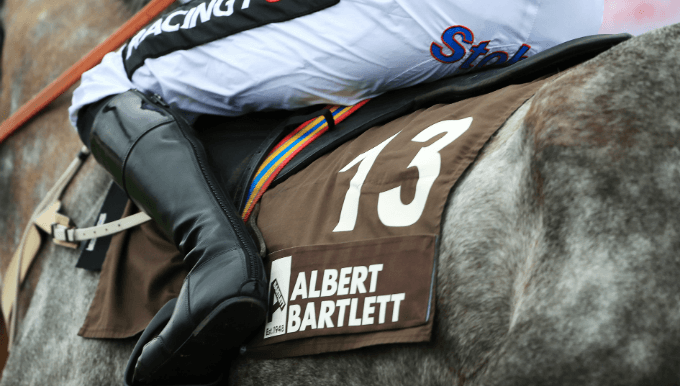 Did Trends win the last Albert Bartlett Novices' Hurdle? Four horses fit last year's Albert Bartlett Novices' Hurdle trends, but from them only one made the frame: Commander Of Fleet. He finished second as the 4/1 favourite, boasting the only Grade 1 win in the field, the prerequisite three runs and two wins over hurdles, and form over almost three miles. Next came fifth-placed Lisnagar Oscar, who had won amongst his two victories a key trial (see below); the Grade 2 Prestige Novices' Hurdle at Haydock. He had also been second in a Grade 2 at Cheltenham and won over 3m, with a long enough break to freshen up. He was closely followed by third trends pick Derrinross in sixth, with Ask Ben, who was an excellent fit for the Place Trends, coming home 10th - about the same distance behind Lisnagar Oscar as he had been when they met at Haydock. In an odd year for jumps racing, where fast ground led to many horses not even running during the season, the winner Minella Indo was among a raft of novice hurdlers that had not run as many times as connections would have hoped. As a consequence he was still a maiden when running at Cheltenham, and had only run in two hurdle races, placing both times, but being beaten upwards of four lengths. The third, Allaho was among those who had beaten him, but he too lacked experience; the Albert Bartlett was his fourth outing on a racecourse, and his third over hurdles. Still a maiden, Minella Indo shocked all-comers in 2019's Albert Bartlett Novices' Hurdle as the six-year-old romped to his first victory on any racecourse, by two lengths. Sent off at 50/1, Minella Indo powered to the front three hurdles out and was not for catching under jockey Rachael Blackmore, who was riding her first Cheltenham Festival Grade 1 winner. The 4/1 favourite Commander Of Fleet lined up the only Grade 1 winner in the field, and boasted bags of experience over the Henry De Bromhead-trained star, but he got first run and stayed on best up the Cheltenham hill. Allaho, who beat Minella Indo last time out in a Grade 2 at Clonmel, finished a further seven lengths back in third at odds of 8/1.